Over the last couple months I’ve been reading a whole mess o’ books written by and about the new monasticism. (You can read the intro to the series here). I haven’t really set out to give a full synopsis of the books, but rather consider certain contributions they might make to different groups. In this final post I offer a few closing comments. The Church is so much more than a powerful organization. In being joined to the Church we have the opportunity to receive a foretaste of the fulfillment of God’s intention for creation. Community, just as God is community. Interestingly the biblical images of Body of Christ and Church are not merely different ways of understanding ecclesiology. They are theology of the first order. Because the Church is the Body of Christ we catch a glimpse of the Trinitarian God we serve. God is one God and three persons. The Church is one body with many parts. To function as an organization, club or loosely connected gathering of individuals is to be shortchanged in our experience of the Trinity…and the great beauty that is the Body of Christ. The new monastic movement, like the prophetic influence of previous monastics, reminds the church of the centrality of community in our theology. The purpose of community is much deeper than mere fellowship. We are community because God is Community and we are created in the image of God. While the new monastics should not claim to have a monopoly on communal expressions of life and faith, there should be little legitimate debate that, in the West at least, the Church is in dire need of good models of community. Not everyone will be called to experience community and express their faith in the same manner as the new monastics. Monastic orders throughout history, as several of our books have attested, have functioned with the understanding that theirs is a particular calling rather than a universal one. Yet to the established church, those who heed the call to monastic living offer hope that it is possible to begin experiencing greater tastes of heaven even now. It is possible to cultivate community that extends beyond transactional relationships and convenient circumstances. It is possible to make the difficult decision to align oneself with the poor, marginalized and overlooked. It is possible because Christ is already at work in these things. This is a message that the new monastics offer the Church. You may not be called to live among the homeless in Philadelphia, or battle racism in deep south. You may not be called to form a ministry to street kids in Boulder or spend a season living in one of the slum communities across the globe, but I guarantee there is an aspect of God’s mission that you are called to embrace. The new monastics not only call the Church to hear and respond to the mission of God but also to do so in community rather than isolation. If we take seriously the prayer that Jesus taught us, we will not be satisfied until God’s will is done on earth as it is in heaven. If we aren’t making a conscious choice to live that way ourselves, at least among a small community of people, then our lives declare we are already satisfied. Jonathan Wilson-Hartgrove set the tone of this paper with his conviction that the role of new monasticism is to “help the church be the church.” If we expect the new monastics to offer something unique and novel to be considered substantive, then we are using a matrix that the new monastics themselves would reject. The value of the monastic contribution is not found in its creativity, per se, but in the simplicity of ancient wisdom which throughout human history has drawn people out for the benefit of us all. This movement is filled with monks and prophets that are putting flesh on issues of justice, reconciliation, freedom, community, whole-life discipleship, prayer, worship, evangelism and stewardship. The value of this movement extends beyond its ability to bring about neighborhood renewal (as great as that is). The monastic rejection of passive consumer Christianity provides opportunity for each of us; for whole congregations and denominations, to examine our own complicity and respond in a way that is true to Christ’s claim on his Church. The books that have been all too briefly addressed in this paper present a picture that transcends youthful rebellion or a postmodern reaction to the perceived ills of previous generations. They describe a commitment to whole life discipleship without ever claiming to be descriptions of THE commitment to such. There is little in this movement that strives to be truly novel or unique. Some of it feels such, given the typically individualistic experiences of faith in the West. Solidarity with the poor and oppressed is important. Connection to community is undeniably central, but there are certainly Christians of all stripes, found in all contexts who value such things. Monastics are not the only ones reclaiming the values of prayer, scripture reading, worship, confession and spiritual disciplines outside of set religious gatherings. Unique or not, both historical monasticism and its contemporary expressions have a record of commitment to these values with a prophetic call for the Church to reclaim them as well. Regardless of what “type” of church we find ourselves in, there are ways in which the new monasticism is poised to help that church be the Church. If you are new to this series of posts, you can read the intro here. This post is somewhat longer than others as it includes excerpts from the introduction as well as sections on missional monastic church planting and the established church. Sometimes, when I’m alone with my thoughts, I am afraid they made a poor decision. Nevertheless, it is easy for me to name a long list of wise, godly men and women who have made a considerable investment of time, money and even their own lives in me personally and in my development as a leader. To whatever degree I have learned, matured and grown in leadership, I owe a debt of gratitude to the Spirit of God at work in these teachers, advisers, coaches and friends; a work that continues to this day. 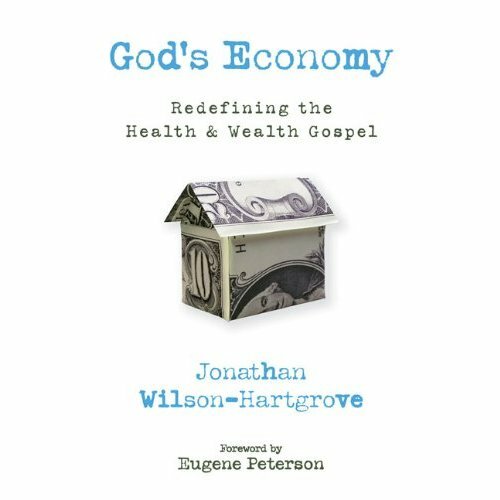 Jonathan Wilson-Hartgrove’s work in God’s Economy emphasizes the value this type of investment over a carefully and meticulously crafted stock portfolio, retirement account, business venture or McMansion in the ‘burbs. He believes in a theology of abundance and invites us to approach God with a desire to be blessed with a rich and full life; we ask the Father for our inheritance of great wealth. Meanwhile he sets out to show that in the new (or very old) economy of the Kingdom, wealth and success are defined in much greater terms than society and even many of our fellow Christians realize. Some of the accepted wisdom passed on in the Church and in seminaries reflects this confusion of economies and reflects Western business principles more so than the radical abundance of God. Preachers and televangelists wearing two thousand dollar suits telling the lonely widow to invest her money in their ministry so that God will give her more money in return are an easy target in this conversation. But perhaps the danger goes deeper and is more subtle than that. Few people significantly challenge the tenured and well-respected professor at a certain seminary who teaches future ministers that they cannot have true community within the congregation they serve because they are an employee that can be fired at will. I hope and pray that he is wrong, but I think he’s accurately describing the present situation. What disturbs me is not that he is wrong, but that neither he, nor those who hang on his words seem to believe this is a travesty which must be eradicated. More recently I remember a conversation with a good friend and coach who was reflecting on something said to him by a friend and advisor to us both. He said, with a hint of resignation, that as we grow up we must accept that spending time with good friends is probably redefined as regular phone calls and an occasional get-together for coffee or a meal. The reality is that we are busy and highly mobile. Our close friends will move away and our work keeps us from being able to spend face-to-face time with them regularly. That conversation has haunted me since. Wilson-Hartgrove highlights a reality that many outside the white, middle class seem to know intuitively; the lifestyle of isolation and upward mobility is not the only choice. I have several Hispanic friends who are part of a community in Dallas. Some of them are doing well financially, many of them are not. Some of the families have lived here in the States for two or three generations, quite a few grew up in Mexico and came here for a fresh start. Some speak perfect English, most used to push me to dust off my Spanish if I wanted to communicate. All of them know how to party. It is not about impressive presentation or outdoing the last soiree. I’ve heard that all Hispanics need for a party is grass and Corona. That statement, meant as a joke, actually provides a glimpse into a worldview that is rich in the new economy. I don’t remember many of their gatherings, formal or informal, that didn’t involve a feast. I don’t remember a single one of those feasts being catered and I don’t remember ever wishing one had been. They taught me to put my grill in the front yard and have extra to share with my neighbors. They taught me that the best way to help newcomers become part of the group was give them a job cooking or helping prepare for the meal. I think its fair to say that the development of my “strategy” for incarnational ministry in our neighborhood is credited as much or more to the Trejos and Vejars as it is to the missional church folks like Darrell Guder, Alan Hirsch, Hugh Halter, etc. These truths of community contain wisdom for us all, regardless of the outward appearance of the our church structure. These truths are very much part of God’s economy. They require investments in people rather than financial security. They value stability, consistency and loyalty over upward mobility. And, like the parable of the shrewd manager highlighted by Wilson-Hartgrove, they appreciate the “wisdom of the weak” to develop economic friendships which provide security that seems so counter intuitive to many of us. “What are we inviting people into?” This question has come up from time to time among our leadership. It is easy to fall into the trap of defining ourselves by what we have rejected. We may have spent time processing through and deciding that wasn’t our motivation on the front end, but it still tries to creep in when we aren’t looking. We are convicted that the Kingdom of God is not driven by programs and passive consumerism, but merely avoiding those things is not a sufficient calling. We are so used to inviting people to a worship gathering, retreat, youth group activity, revival, Christian concert, marriage seminar or some other event that it can sometimes be difficult to imagine any other kind of invitation. The invitation to a new life; to walk with us in community in the Way of Jesus can sometimes seem a bit ambiguous, particularly to those who have a clearly preconceived notion of “church.” For those looking for ways to describe the calling to whole life discipleship, God’s Economy can be a tremendous help. We have made a decision not to ask new house churches and incarnational communities to tithe toward corporate building funds, administration costs, overhead, salaries, etc. That decision means that I’m now a seminary trained roofing contractor who offices at local coffee shops and worships with his community wherever the doors are opened. We don’t always know where we’re gathering until Friday or Saturday and some people don’t really like that. We have several kids under the age of six and that often brings up issues for which we don’t have good solutions. It has been very difficult, but I am convicted that this is precisely how we are called to operate at this time. We are being reminded of our roots as nomadic people, with a God who tabernacles among us. We are free to use our community’s resources to invest in people, to give generously to others. We aren’t compelled to base our decisions on what will boost the bottom line financially. We are no longer under the illusion that ministry requires a line item in the budget. We are learning, and God’s Economy is going to be a useful resource in this, to reject ecclesiological mindsets that assume scarcity. Our young network of communities will most likely never have stacks of money in the bank. Still, we are learning to expect wealth of a different kind without waiting to leave this rock and this body behind for a mansion in the clouds. We’re learning that if our friends have a car, we have a car. If we have a lawnmower, our friends have a lawnmower. Just like that our resources have multiplied without increasing our clutter. For those within the established church who are wondering whether these young communities have adequate theological grounding and biblical support, God’s Economy can be quite informative. Yet, I also think there are benefits that established churches themselves can reap from this book as well. A few years ago a church I knew of laid off several ministers for budget reasons even though they had (literally) millions of dollars in the bank. This money was earmarked for missions, not ministry. Besides, good stewardship wisdom suggested that the principle balance remain untouched and only interest be used… after all the money needs to last. Overnight, several people learned precisely what my professor had warned – the minister’s relationship with the congregation is a transactional one, and they found themselves alone without a job, a church or a support network. I was once informed by a well-meaning minister of a five-hundred member church that they were interested in church planting, but until their weekly contribution averaged twenty-thousand dollars they would be unable to give any money to outside efforts. I do not believe that any of the congregations just described are evil; I don’t think that the leaders are malicious or their love for God insincere. They are simply functioning within a system that is bound to the rules of the empire. As Wilson-Hartgrove, quoting Dwight D. Eisenhower, reminds us, “you cannot amass great possessions without also having to take up the sword and defend them.” This quote doesn’t merely refer to violence, it affects our process for decision making and world viewing. That isn’t to say that established churches have to sell their buildings and fire their ministers. It might mean that they draft new criteria for decisions regarding the use of congregational funds. 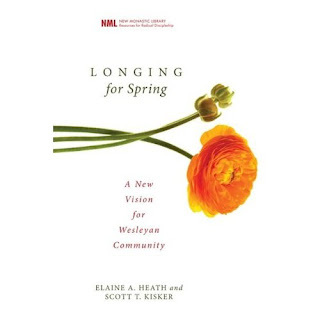 However, I think that this book is extends beyond merely calling congregations to change their budget process. Image the possibilities for blessing if a church of two hundred people began taking the needs of one another more personally. What about a church of five hundred or two thousand? Can you imagine any single mothers in those congregations still struggling to decide whether to pay the electric bill or buy groceries? Would there be any way that an elderly widower would die alone because he couldn’t get out of his house and didn’t want to burden his children living in another state? The Kingdom of God will not support such travesties; they are unsustainable in God’s economy. You do not have to move into a large house with several other people to see this kind of community develop. It may take more work if you don’t automatically see each other everyday, but it is far from impossible. Imagine the possibilities! Imagine what affect it would have on a city if suddenly there were hundreds of people experiencing this kind of life in their midst. I predict that this type of economy and kingdom would roll forward with such force that no gates – be they of hell or a gated community – could stand against it. 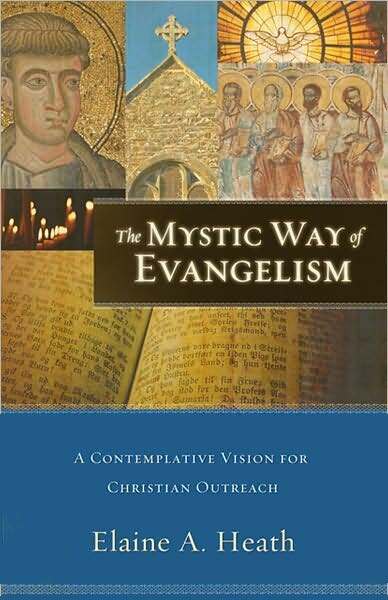 I recently posted a short excerpt from the book, The Mystic Way of Evangelism, by Elaine Heath. Several people have asked about the book so I thought I’d include a couple short sections from a paper I wrote. For those that haven’t read the previous posts on this topic (read intro here), the paper is a review of 12 books pertaining to new monasticism and creative missional expressions of faith. 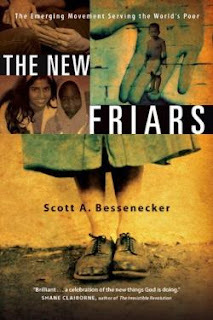 After reading each of the books, I’m asking 3 primary questions: 1) What does this book offer new monastic communities? 2) What does this book offer missional/monastic church planting movements? 3) What does this book offer to the established church wrestling with these issues? Regarding The Mystic Way, here is a section from my introduction and question #3 (pertaining to the established church). Is the American Church experiencing a dark night of the soul? Elaine Heath thinks so and I doubt many people find this hard to believe, or even surprising. What we may have not considered is her claim that this dark night is a necessary component of the path to renewed health, vitality and evangelistic impact. In a world that is becoming increasingly aware of the widening disparity between the have’s and have not’s; a culture that has come to suspect that the Modernist/Enlightenment project was never more than a smoke-and-mirrors illusion, perhaps a good dose of humility is precisely what the Church needs. Particularly here in the West, we have come to exhibit a level of entitlement that is (for some of the people I talk to on a regular basis) simultaneously terrifying and nauseating. We expect the government to enforce our religious convictions on others, yet we hit the streets in protest if we feel they’re infringing on our religious turf through taxation or accountability. It seems that we want to be simultaneously protected and ignored. We want to get something for nothing. Just as it did on Wall Street, that mentality may be leading to a crash. I received the following text message yesterday from a member of our community: “If u can, turn to am-660, the topic is ‘zoning ordinances pertaining to religious home meetings.’ I think its important to note that the public conversation has begun.” There seems to be an increasing population of people dissatisfied with the Church attempting to function as a business in the competitive market, without playing by the market’s rules. Heath’s book traces the ancient three-fold way of the contemplatives and mystics which includes purgation, illumination and union. Perhaps our present experience is one of purgation, not unlike the Israelites wandering around in the desert while time and new birth cleansed the community of its institutionalized slave mentality. You can’t hurry a process that only occurs over time, but you can often hinder your progress and increase both the stress and duration of the ordeal. As we transitioned into more organic and whole-life expressions of faith, there were a myriad of different expectations, assumptions and (mis)understandings that had to be purged through our own desert experience. There was no way to rush through this time, and in many ways the process continues even today. The Mystic Way reminded me that regardless of one’s specific context, the interior life (particularly with the intention of it bearing fruit in community) is something we cultivate rather than instantly inherit. We did not arrive at our present location overnight, nor will we relocate in such a way. What does it have to offer the established church? I recently saw a commercial attempting to convince people that they need to take action when they notice the early signs of a stroke in another person (which I never realized was a problem). The scene involves a young man with an arrow through his chest, confidently declaring, “It’s no big deal.” Perhaps this commercial could have also been used as a trailer for the release of The Mystic Way. It is a big deal. The situation in our churches today is a big deal. The question that remains to be answered definitively is whether or not we will adequately acknowledge and respond to the situation. Mission Alive, a church planting resource group with which our team is connected, was formed in 2004 by missiologist, Dr. Gailyn VanRheenan, whose study of the status of churches in North America convicted him of the need for renewed efforts in domestic mission work. One fairly new aspect of Mission Alive is a ministry called REvision, where leaders from established churches are trained – often by and alongside current church planters – to develop, communicate and implement a missional ecclesiology within their traditional context. It is still too early to assess the impact that this ministry is having on the congregations involved, but the hope and prayer is that there is hope beyond only planting new churches. As Brueggemann pointed out, a lack of awareness of the situation among a majority of the leadership (let alone the whole congregation) seems to be one roadblock to the needed growth and maturation process. Standing outside the circle throwing rocks may get people’s attention, but then we have the added roadblock of angry people with bruises on their heads! I believe that The Mystic Way can serve the established church by raising awareness of the need for whole-life discipleship / community and presenting a way forward that doesn’t require a violent dismantling of congregations, yet contains practical content for how to proceed. Heath describes in several brief, but encouraging sections, different potential avenues for partnership between established, “anchor churches” and new communities. The picture is one of mutual encouragement and support, where the strengths of each are used to build up the other rather than being placed in tension and competition. The question that looms in my mind is whether or not this is possible given the history of turf-wars, power struggles and (to be totally honest) market-driven-rather-than-kingdom-focused definitions of success in the church. The Mystic Way, suggests that it is not only a possibility, but is a necessary and exciting present opportunity. This is part of a series of posts raising questions about the impact and benefits of New Monasticism. Please refer back the Introduction for more background. 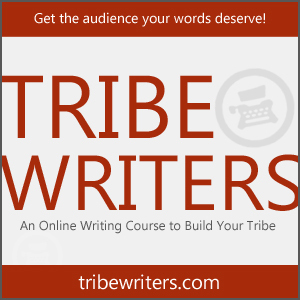 Quotes in this essay are from the book being reviewed unless otherwise noted. You can contact me for a list of references cited. The title of this series of essays is taken from the book New Monasticism, where Wilson-Hartgrove states, “Monasticism, I learned, isn’t about achieving some sort of individual or communal piety. 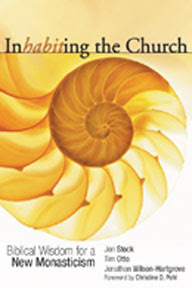 Its about helping the church be the church.” This brief and very accessible book is, in many ways, a foundational text for the new monastic movement. Recently, while reading/writing at Starbucks, a young man saw my copy of this book and asked excitedly, “Are you living in community?” He quickly identified himself with a group preparing to form a community drawn from the example of the Catholic Worker Movement. It was readily apparent that his vision is bold and prophetic…and I got the impression that it was also more than a little romanticized. I thoroughly applaud his zeal and passion; he strikes me as a very sincere guy and I pray that he and his friends will see miracles of transformation beyond their wildest imaginations. I believe New Monasticism will be a great book for him. Wilson-Hartgrove recognizes that it isn’t in the big displays or bold public declarations that we find the essence of this movement. 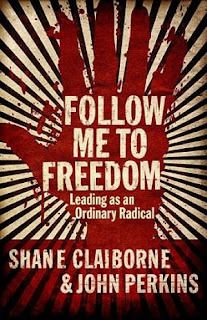 He says, “the real radicals aren’t quoting Che Guevara…[they] are learning to pray.” Success isn’t defined in a highly visible, popular ministry. It is contained in the small and seemingly insignificant. And yet within these insignificant encounters, enormous things are taking place. The seed of a new empire is planted and hope for a real actual Lord other than Caesar begins to spread. It spreads life to life and house to house until whole neighborhoods, communities and cultures are infected. But it doesn’t begin with a movement. It begins with a person. It began with God walking in the garden God created; with Jesus walking the dusty roads of Galilee and Jerusalem. It spreads to our own life and then to the lives of the very real people with whom we find ourselves experiencing community. Only then do others begin to take notice. For Missional Monastic Church Planting: I’ve been living this way of faith intentionally for the last several years, first as preacher attempting to connect with skeptical neighbors in the unique cultural matrix in the post-Katrina New Orleans area. Most recently I’ve been experimenting with cultivating community as a church planter among equally skeptical neighbors in the south Fort Worth area. One of the most important lessons I can point to has only become evident to me in the past couple months. Even if we model this way of life, if we don’t invite people directly into their own expression they’ll quickly find a comfortable seat in the bleachers. “We’re living together as God’s people to see how the Bible works as a manual for how to live together as God’s people.” This statement carries incredible implications for each of the three groups we’re addressing in this essay. Yet for those who are seeking to cultivate new communities among non-Christians and new Christians it issues a special heads-up. Grassroots movements of this nature are true to the ethos of the monastics and it is exciting to serve as missionaries bearing messages of hope and revolution to the margins of society just as so many have in the past. But it is easy to inadvertently bogart the best parts of the revolution! One of the most common questions we receive from established churches is, “where is the accountability? How do you ensure solid theology and doctrine?” As we move into abandoned places of empire, as we engage in life with marginalized people in the midst of their marginalization, as we give and receive hospitality we are faced with the very real experience of being out of control. This is precisely what the desert vision teaches us to embrace. Yet as we form new communities, new house churches and the like, our residual fears urge us to control teaching and leadership, and our new friends quickly find their niche as passive learners in a living room. Certainly there will always be a need for educated leaders and teachers and hopefully other books will address this issue. However, New Monasticism provided great insight by reminding us that as we are sent to the margins we find that God is already there. Much to our surprise, the people we encounter have much to teach us. Our task is to come alongside, not call them to get in line behind us. The new community’s need for connection to the church – both local and historical – was briefly addressed in a previous section. My own tribe, the Churches of Christ, developed out of the Second Great Awakening on the American frontier with a strong commitment to congregational autonomy and a fiercely independent streak (true to the American ethos). Over time this devolved into generally ahistorical and isolationist tendencies which have threatened the long-term survival of the movement. A commitment to the small, organic and neighborhood life of faith cannot mean a dismissal of the larger community that has passed the faith on to us. We will not help the church be the church by leaving the church or attacking the church. 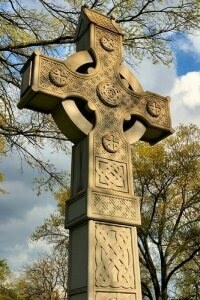 And yet, neither can we be faithful in our love for the church by remaining silent in the face of great need. The point the book makes is not that churches must sell their buildings and purchase homes for members to share, but “if the gospel is good news for everyone, we’ve got to find ways to make that real for the whole church…My point is not that churches ought to imitate new monastic communities but that another way is possible.” One of the great contributions of this book to the established church is simply to raise the question, “what would it look like for your church, conference or denomination to engage one another and society in this way?” This book serves to spark imagination and conversation among established churches, not paint the full picture.